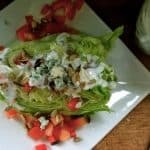 If you’re looking for something fun to make for a Fourth of July picnic or party, that’s patriotic themed but not loaded with sugar, make a tray of Red White and Blue Wedge Salads to share with friends. 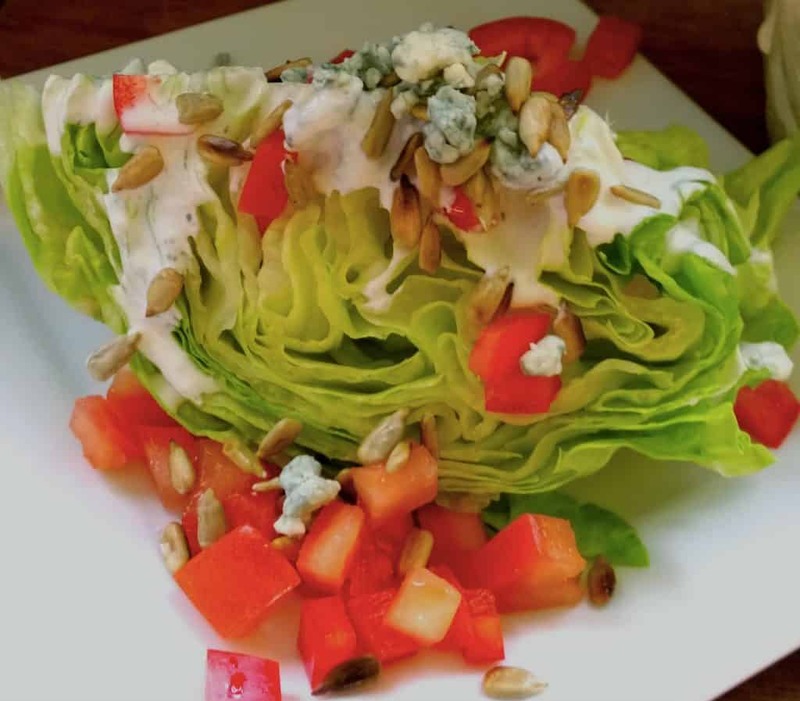 This is simply a pretty typical wedge salad, topped with blue cheese dressing, red peppers and chopped tomatoes, so if you have a salad you like add a little red, white and blue toppings for a patriotic touch and call it good. I love salad, a year ago this was not the case, but as I’ve lost weight, I’ve discovered that a salad is truly one of my favorite foods. 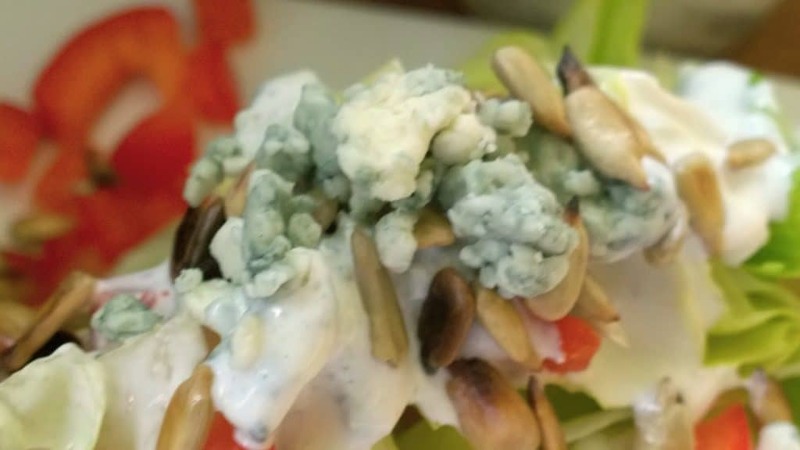 Crisp, fresh ingredients tossed together in a multitude of combinations and finished off with a good homemade dressing makes every meal healthier, more delicious and surely provides ample opportunity for our kids to eat more vegetables. Making and serving a fresh salad every night has become second hand to me now and a very expected part of our dinner. Every night. 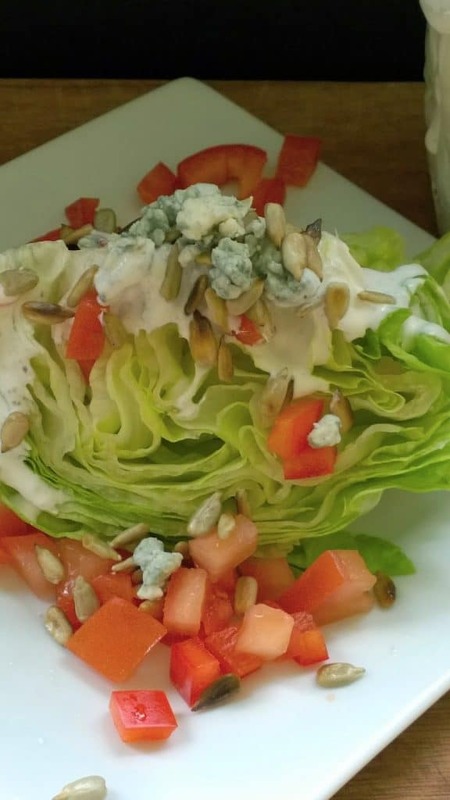 I’ve been trying to change it up to make sure we don’t get bored or tired of the same old thing, new to the family rotation is the wedge salad, which has become one of my favorites of late. 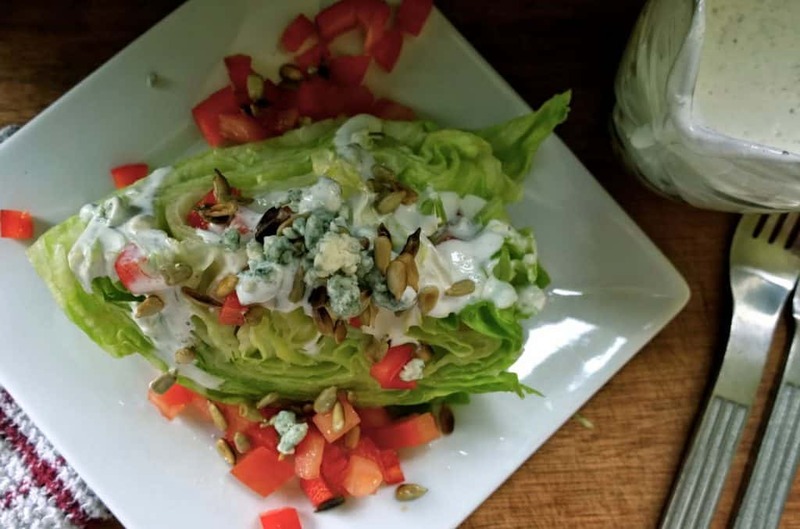 A crispy wedge of lettuce, drizzled with blue cheese dressing, sprinkled with crispy toppings served ice cold and ready to refresh even the most bedraggled summer reveler. This version is a bit smaller than the traditional 1/4 of a head of lettuce version I’ve been served in restaurants. The slightly smaller size means we can get six servings from a single head of iceberg and it’s more manageable for kids still working on knife skills. And by the way, a knife and fork salad is how I presented this salad the very first time I served it, figuring that anything requiring knife skills to eat, would be very interesting for my maker/fixer boys. Worked like a charm!